Supervisor is a popular job title, and you will always compete with other people in your interview. It can be five, ten, but also twenty job seekers–depending on the offer and the company where you apply for the job. 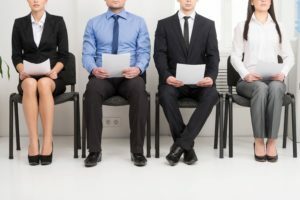 In this article I will show you twenty-five interview questions they may ask you, including difficult behavioral questions, and a guide on how to answer first ten questions. If you would like to see good answers to all twenty-five questions, please refer to the eBook at the end of the article. Success in an interview is not a question of luck. Prepare for the questions, do better than your competitors, and you will end up with the job. Let’s start with the questions! Question 1: What characterize a great supervisor? Answer: A great supervisor can motivate their subordinates, they go by example, they have good observation skills, and they can utilize the strengths of the people they lead in their teams. Alternatively you can say that great supervisor maintains the highest possible productivity and motivation of the team they supervise (or each team member), and helps the company to achieve their goals on an ongoing basis. Question 2: Why do you think you can become a good supervisor? Answer: Because you have the skills and abilities a good supervisor has (mention the strengths from the first answer), because you are motivated to work hard, and becasue you have experience with similar jobs (if any of that is true). Alternatively you can go for a practical answer, narrating your experience with supervising/managing a small team. It can be a working team, a sport club, or even just a group of friends you led. The goal is to convince us, with the help of a practical example, that you are good at supervising people. Question 3: How would you assess the level of motivation of your subordinates? Answer: Choosing the right metrics, and comparing productivity of everyone on a daily basis, is a great answer. You can also say that you would talk to your people regularly, trying to get feedback, and understand whether they are satisfied with their jobs, and motivated to work hard. Alternatively you can say that you would compare results of each employee, on a weekly and monthly basis, creating Excel charts and trying to understand their current level of motivation with the help of your charts. One way or another, you should demonstrate that you understand the importance of motivation in the workplace, and have a clear idea how to measure and evaluate it. Question 4: What do you consider the main goals of a supervisor? Answer: To maintain high motivation and enthusiasm in the workplace, to ensure everyone works to their full potential, and to take care of any problems that arise in the workplace, or between the workers, such as conflict, loss of motivation, and others. Special Tip: Check my new eBook, the Supervisor Interview Guide, for multiple great answers to all interview questions for supervisors, including difficult behavioral questions. Question 5: How do you handle conflicts with people you supervise? Answer: You should say that you try to avoid conflicts. But if there is no way to avoid a conflict, or if you fail to avoid it, you will try to understand the perspective of the other person. Eventually you will find a solution that will be good for the entire team–and not only for you. You can also say that you always try to maintain the authority of your position, since if you lost it in a conflict with one of your subordinates, other people from the team might not respect you anymore. You can even elaborate on your answer, saying that you try to organize small team building events for your subordinates (playing bowling, going to the football match, playing some other games, or just drinking in a bar :)), to help strengthen a team spirit, which should lead to fewer conflict situations in the workplace. Question 6: How do you plan to go by an example for your subordinates? Answer: Sticking to the rules, working hard, and even helping with manual labor (if necessary, e.g. when someone did not arrive to work, and you did not have a replacement for the person) is a good answer to this question. Another way of going by example (or another approach to this interview question) is saying that you plan to actively participate in everything the team does, including the manual labor. Your participation will help you to understand the ins and outs of their work, as well as the strengths and weaknesses of your team members. People always respect a boss who is not afraid to take on manual labor (even if only for a few hours each week). Question 7: How would you motivate your team members to produce the best possible results? Answer: Trying to create a competitive atmosphere, trying to motivate the team as a whole, organizing team building events, building good relationships with the workers, ensuring they feel good in work and receive an appropriate reward for their labor, is a great answer to this question. Show your interviewers that you know how to work with the laborers, and understand what motivates them to work hard every day. Question 8: Can you define your supervisory style? Answer: The answer to this question depends on your style of leadership. Do you prefer liberal approach, or do you prefer to maintain a strong authority in the workplace? Either one you choose, you should be able to tell the interviews why you prefer it. Ideally you should narrate a situation from the past, one on which you demonstrate your supervisory (leadership) style, and show the hiring managers how it helped you to achieve good results with your team. Alternatively you may say that you are ready to apply both liberal and authoritative approach, and will decide according to the conditions in the workplace, and people you will have in your team. You will simply pick the style that will suit the team you will supervise. Question 9: How do you imagine a typical day of a supervisor in our company? Answer: Do not say that you imagine to walk and watch other people working, all day long :). You should try to show your attention to detail, and proactive approach to work, and also your leadership. Say that you will observe the people, trying to spot the problems, and opportunities to improve the work, and consequently the results of the team. Say us that you will always be on the working site, and keep an eye on your subordinates. You can also say that you will devote a portion of each day to communication with your subordinates. Asking them about the working conditions, and trying to get a feedback on the work they do, and also on other team members, you always try to find the areas for improvement of both working conditions and results. Question 10: What do you think about starting a relationship with one of your subordinates, outside of work? Do you consider it right? Answer: The right answer is yes and no. Good relationships outside of work can help to improve the atmosphere in a team, which nearly always leads to better results of work. One way or another, we are people. You will be neither the first, nor the last boss who started to date one of their subordinates. The key is to convince us that you can make a thick line between your personal and professional life, that your relationships outside of work won’t affect the decisions you will make in your job. Can you tell us something about your working experience? What characterizes a good boss (colleague) from your point of view? Describe a situation when you went above and beyond with your service (for the customer, for the colleague, for your subordinate). Describe a time when you had to deal with an angry (upset) client or subordinate. Describe a situation when you did not agree with the opinion of your superior, and knew that they were wrong. How did you handle the situation? Describe a time when you struggled to communicate something to your boss or subordinate. How did you manage to get your message over? To know how to answer a question, and to come up with great answer on a day of your interview are two different things. If you feel anxiety and are not sure how to answer some of the questions, check my Supervisor Interview Guide. Multiple brilliant answers to all questions, and a simple guide on how to ace this interview, will make your life much easier on a big day. Now available for less than $15. Thank you, I wish you good luck, and see you in an interview!